Do know that Google Chrome Ad Blocker is rolling out? Are you frustrated with blocking video ads on your browser? Don’t you find the best way to get rid of the video ads dump? The flash news for all the Google users that it is going to push the annoying video ads into the dump yard through its ad blocker. How Does Google Chrome ad Blocker Work? The Google Chrome’s drumbeat of launching own Ad Blocker resonates everywhere. It is the flash news for all the Google users and brand advertisers as it is going block the most annoying video ads which are being as the barriers for the users while surfing the content. Most of the video ads in the Google are playing in high volume, and some are being as the bugs that not display the exit options to watch or surf the user seeking content. These issues can be soon vanished by the Google’s Ad Blocker. Millions of mobile are users have become the target for the advertisers and publishers to address their video ads by investing more that are most frustrating both the mobile and desktop users while viewing the required video content. The use of third-party ad blockers is in use, and because of it most of the video advertisers are being suffered as the branded video content is not reaching the real customers. Soon Google might put an end to those, and it is intended to serve the best quality of video ads that will be the bugs to destroy the performance of it. It is the most bugging question for all the video advertisers and publishers. The theme of introducing the Google’s ad blocker is to filter the branded video content that completely obeys the Google ad standards. When the video advertisers or publishers are not placing the biddable video ads by ignoring the rules and regulations of the Google ad standards, then it will be banned by the Google immediately. It might result to fall in the ad revenue and traffic is engrossing permanently. The association of social media sites like Google, Microsoft, and Facebook has become strong to serve the better online video advertising. It completely directs the users to get the fine quality of video content that contains the relevant video ads. All video ads are serving for both the desktop and mobile users. The auto-playing video ads with sounds on. Pop up video ads that extremely destroy the user experience. Video ads that are playing full screen. The density of the video ads exceeds 30%. Postitial video ads that are not intended by the users. The most effective animated video ads. A large volume of video ads that are being sticky. Playing the video ads before viewing the original content (prestitial video ads). Autoplay music or video ads with sounds on. Google Browser targeted and Block the advertisements which do not meat the Better Ad standards. For Desktop PC’s the sizable sticky advertisements, pop-up ads, Video ads which play automatically with sound, prestitial ads will play at countdown starts in which user should wait for sometime to close the ads. Google is significant in mobile ads; it will block all the above ads as well as full-screen scroll ads, flashing animated ads. Google Ad Blocker keep some restrictions for dense advertisements which take 30% of the vertical height from the web page. One of the top players in video advertising is google, more than 60% of the mobile and desktop users faced the problem of blocking the most annoying ads from Google browser. Google Chrome Vice president Rahul-Roy Chowdhury said that “all the annoying ads are blocked from the web what we love till now. Google chrome ad blocker is evaluating all the advertisements from the web and rating it according to the Coalition standards if they are acceptable or failing. Sites should submit their failing ads or shape up their ads in 30 days presenting it to the revaluation else it may affect by the Google Chrome new ad blocker. Google studies proven that till now 1500 most rated traffic sites violated the new ad blocker standards and more than 850 ads segregated as of failing status we will see those ads blocked for next 30 days. Media companies are more aggressive on this type of ads they use in digital ads market. Social media giants like Google and Facebook have tightened their rules on the digital ad agency. Many of the advertising companies earnings depends on the advertising. 20% of ad revenue Fallon on safari changes. Apple is following the advertisers on the web rather than blocking their ads Google aimed at changing the website look, and who are using behave it like when people are using, it offers third-party ad blockers which can block both the ads and trackers. A set of highly qualified companies, advertisers and publishers are searching for the way to make their online advertisements more profitable. The google chrome new changes initially hit the Advertisers and publishers. Many business models drive some publishers now it seems to be under the tread for sometimes now. The digital publishing world could support the digital advertising, but unfortunately, it has become highly challenging for the advertisers and the publishers. 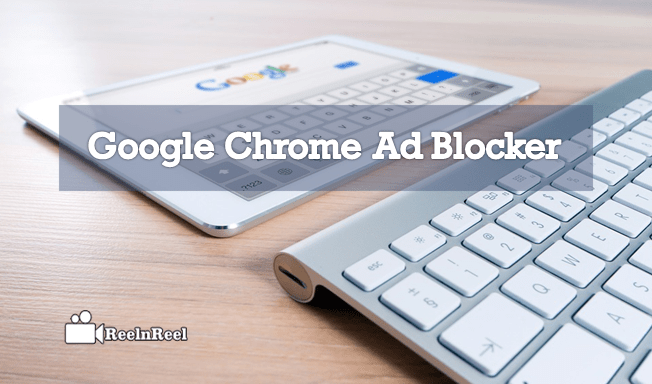 The primary goal of Google Chrome by introducing the new Ad blocker is providing the customer-centric ad browsing and advertising. Chrome proposed some rules or guidelines for a coalition of better ads. Coalition statements encourage the advertisers and publishers for better ad standards applying for advertising technology providers as a part of putting their efforts to improve the marketplace over the ads. Advertisers should follow or use the initial better ad standards by informing the campaign development and execution. Publishers should follow the initial better ads standards to improve the experience for better audience development. Advertiser development technology should use the initial better ad standards for the development of new ad experiences. Providers of measurement technology should follow the better ad standards to increase the ad experience preferred by the consumers and to develop the new ways to marketplace prevalence. With the entry of Google’s ad blocker, the brands that are intended to reach the consumers with real-time effort will be fulfilled. The publishers and advertisers who are the genuine video content makers will be magnified through the Google’s ad block that leads to pushing the ultimate video content at the users which enhances the brand feasibility.